With Mother’s Day just around the corner, it’s at this time that we begin to wonder just how on earth it’s even possible to demonstrate the appreciation we as children have for the unconditional love our mothers provide. In truth, we only truly appreciate the sacrifices a mother makes for her children when we become a parent ourselves. So this Mother’s Day, being South Africa’s leading homeware suppliers, Binuns Online wants to help you do just that, and we’re offering you a fun and exciting way to show your mom just how much you appreciate all of her love and sacrifice over the years. To get involved in our Mother’s Day competition, keep an eye on the Binun’s Online Facebook, Twitter and Instagram pages and participate in the #ForMyMom campaign, to stand the chance of winning some fantastic prizes for your mom this Mother’s Day. All you need to do is identify the featured brand for each week during the month of April 2016 and comment using the hashtag #ForMyMom along with the name of the hidden brand. We’ll be giving you hints and clues on our social media platforms each week to help you identify the featured brand, and YOUR mention will enter you into a draw making you eligible to win the weekly prize on offer. The total value of prizes being given away during the course of the month amounts to almost R10 000! 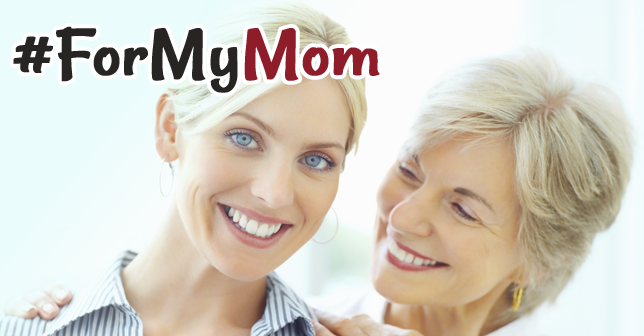 So show your mom some love this Mother’s Day and have some fun checking out fantastic offers on our site while you’re at it. Aside from the weekly giveaways, there will be some amazing specials to spoil your mom or yourself with on the Binuns website. 1 Only one entry will be accepted per person on each social media platform. Spam comments will result in the user being blocked. 2 Each weeks’ competition will be launched on a Friday with the winners being announced on social media within 7-days and contacted via private message on the social platform in which they entered. 3 Prizes can only be won be South African residents with valid identification and proof of address.